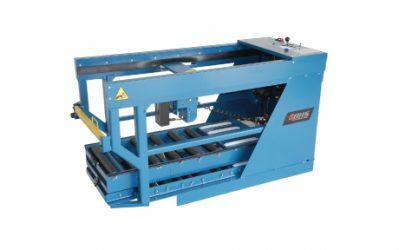 The BHS Automatic Transfer Carriage (ATC) converts an existing pallet truck into an efficient, portable battery changer. The ATC is available in a variety of models with many flexible options to satisfy all unique battery handling requirements. Download the PDF above for detailed specifications, or call 1.800.BHS.9500 to find a dealer near you. Note: Product does not include pallet truck. Designed for applications where a pallet truck can’t be dedicated full time to the battery changing process. Includes a welded Tongue Kit to enhance stability and an SB quick disconnect (ATC-QDY). Rear-entry fork pockets are designed for use with pallet truck. Designed for multi-purpose and multi-position and for applications where a pallet truck can’t be dedicated full time to the battery changing process. Includes a welded Tongue Kit to enhance stability and an SB quick disconnect (ATC-QDY). Rear-entry fork pockets are designed for use with pallet truck. Side-entry fork pockets are designed for use with SDCB lift trucks. Designed for multi-purpose and multi-position. Side-entry fork pockets are designed for use with SDCB lift trucks, typically as a back-up to Operator Aboard Battery Extractors when combined with the Remote Control (ATC-RMT) and Vacuum Extraction (ATC-VAC) options. Rear-entry fork pockets can also be used with a pallet truck host truck when the bolt-on Tongue Kit is attached. † 24 V dc must be supplied from the host truck for powering the ATC (may require special taps and cable from SDCB battery), or optional on-board battery and charger packages are available if required.